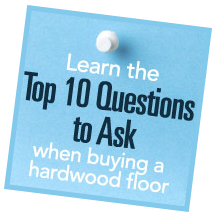 The longest standing manufacturer of hard wood maple basketball flooring and a founding member of the MFMA. The first round of the 2015 NBA Playoffs is nearly complete with three teams already punching their tickets for the second round of action. While the series are coming to an end, teams are fighting their way to survive and advance. In the West, the top-seeded Golden State Warriors took a demanding lead against the New Orleans Pelicans and ousted them from a chance at the championship 4-0. 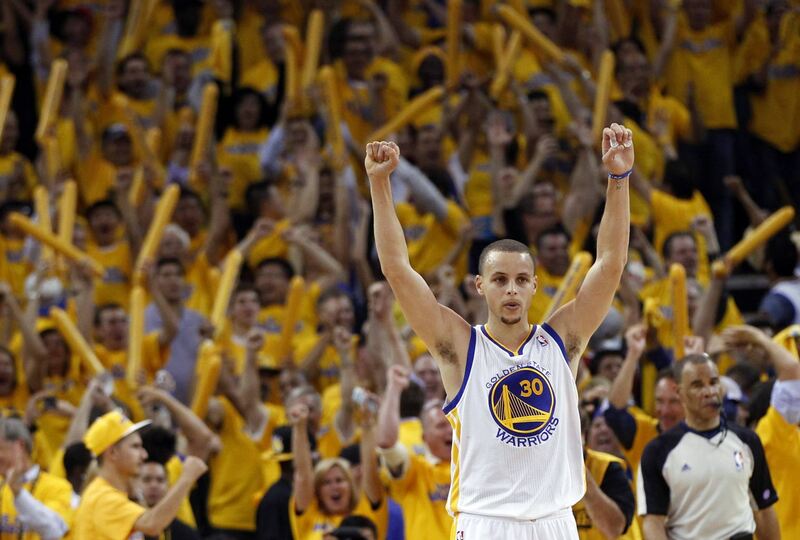 Guard Stephen Curry continued his historical season with a monumental 39 points and 9 assists in the final game. The second-seeded Houston Rockets’ attempt at a series sweep was denied by Dirk Nowitzki and the Mavericks, winning Game 4 121-109. Tip-off for Game 5 is at 8:00 PM tonight on TNT. In a hotly-contested Game 5, the third-seeded Los Angeles Clippers evened the series with the defending champions, the San Antonio Spurs, with an outstanding performance by Chris Paul who had 34 points to help the Clippers. They will battle for the series lead again tonight at 10:30 PM ET, following the Rockets and Mavericks game. The Portland Trailblazers narrowly avoided elimination with a memorable 32 point, 7 assist performance from Damian Lillard. The Memphis Grizzlies had a 3-0 lead on the Blazers going into Game 4, but couldn’t hold off Lillard’s strong play. The Grizzlies have a chance to advance with Game 5 in Memphis on April 29 at 9:30 PM ET on TNT. In the East, Cleveland swept the Celtics in a scrappy Game 4, with J.R. Smith being ejected in the third quarter on a physical play against the Celtics’ Jae Crowder who didn’t return after spraining his knee on the play. 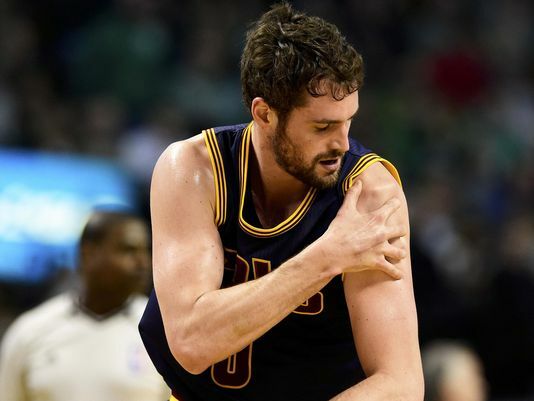 Cavs forward Kevin Love left the game with a dislocated shoulder after Celtic Kelly Olynyk and Love got tangled while fighting for a loose ball. The Cavs are unsure of Love’s return in the second round, and even in the playoffs all together. Also advancing out of the East, the fifth seeded Washington Wizards defeated the Toronto Raptors 125-94 to gain the series sweep. Wizard Marcin Gortat had 21 points in the win. The top-seeded Atlanta Hawks lost to the eighth-seeded Brooklyn Nets after a monstrous 35 point, 7 assist overtime game. The series goes back to Atlanta for a pivotal Game 5 on April 29 at 7:00 PM ET on TNT. In a thrilling Central Division match-up, the Bulls have a one game lead on the Bucks as the series heads back to Milwaukee. After a double overtime loss in Game 3, and a buzzer-beating win for Game 4, the Bucks won and survived for one more game against the Bulls in Game 5.